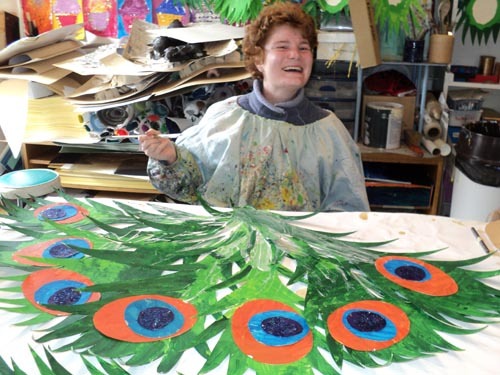 Creative spaces are organisations where people can make art, or participate in artistic activities such as theatre, dance, music, film and creative writing. They provide space, resources and assistance in ways that will lead to self-expression, empowerment and self-development. There are more than 80 creative spaces in communities throughout New Zealand. Some encourage an informal, drop-in approach while others prefer a structured approach, with programmes and workshops in writing, visual and performing arts. Read more about the history of creative spaces. Creative spaces are dynamic places. Some have their origins in institutional programmes while others owe their existence to community-based initiatives. Rather than conforming to one set of practices, different creative spaces can, and do, achieve similar outcomes using a range of approaches or principles. It is, therefore, worth considering some of the different theories and ideas that have developed over time because many spaces work with various approaches. Read more about these approaches. profiles of artists working from creative spaces. If you would like profile on any of these pages, please contact Iona McNaughton, Communications Manager (T: 04 802 4356 E: iona.mcnaughton@artsaccess.org.nz). Original generation time 1.7930 seconds. Cache Loaded in: 0.0004 seconds.